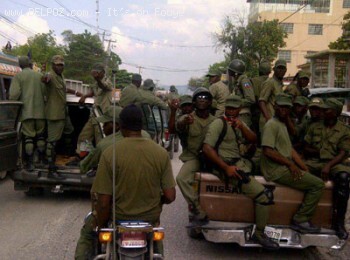 The Haitian Ministry of defense issued a warning to all unidentified individuals in Haiti posing as demobilized soldiers in the country to stop that immediately. If you are not in the Haitian military you cannot wear military uniforms and run around pretending that you are. If you do, you will pay the consequences, so be warned, fake soldier!